In the early morning we will start our day with Unakoti. 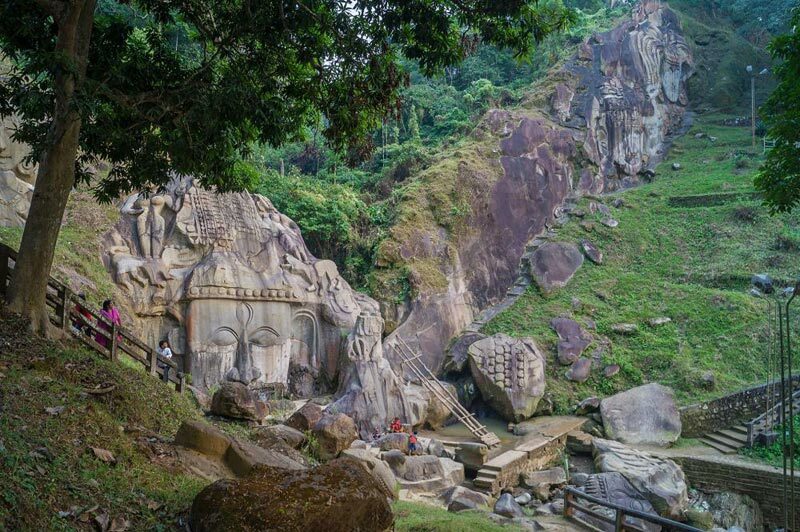 Unakoti hill, literally meaning, one less a koti in Bengali, hosts an ancient Shaivite place of worship with huge rock reliefs celebrating Shiva. 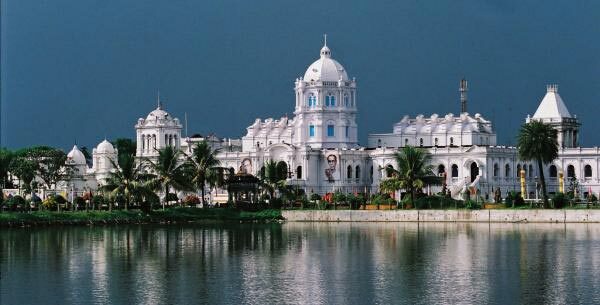 Then we will drive towards Neermahal, the grand and impressive ‘Lake Palace of Tripura’. We will have our lunch at Guest House by the lake. the Neer-Mahal (Water Palace / Palace on Water) is the ‘only lake palace’ in all of India’s northeast. The major attractions of this heritage palace are its Open-Air-Theatre, the Andar Mahal, the sound and light show, and the glorious combination of Hindu and Muslim architecture. After enjoying the boat ride, we will start for Udaipur, the temple town of Tripura. Stay in Udaipur. We will start our day with offering our prayer to l Goddess, Tripura Sundari early in the morning. Spend the day there and return to Agartala. Evening is free for shopping. Stay at Agartala. TOURISM GUEST HOUSE . BEST AMBIANCE.